Underneath these rooftops lies a labyrinth of apartments, each containing several rooms. These apartments once housed hundreds of people including high status staff, visitors and family members. The Sackville-West family still live in apartments here, over 400 years since the first family member lived at Knole. Knole has 51 chimneys. How many can you spot? The problem for me about Knole was that at the beginning of the tour most things were covered with dust sheets, in glass cases. I found it hilarious that there were signs on a lot of pieces (like enormous vases, or ornate chairs) printed with the word 'salvage'. I had to ask what this was about as I wondered if these items had been picked up from a salvage yard, though it seemed unlikely. Turns out there is a very particular protocol in the event of a fire or other disaster about what will be saved first and these labels referred to the priority of the items in that protocol. And, by the way, those glass cases were surrounded by scaffolding. Up the stair case there are more, wait for it, dust sheets and scaffolding. I was beginning to feel like my first/last trip to New York back in 1980, when we drove through at 3 am and the Statue of Liberty was shrouded for repairs. However, it is a rather large building and there were certain galleries one could tour. I learned during one of my tours of some old house way back when that the word gallery describes a long hall on one side of a house where the ladies and gentlemen would take some exercise, walking up and down. One side was often full of windows, in later years when glass was more available/affordable. For the edification and enjoyment of said noble people, one or both walls would be hung with oil paintings for them to enjoy whilst taking their exercise. So I gather this is how we came to have art 'galleries'. The galleries at Knole did not have windows, except at the ends, however, at least not the ones I saw. I've borrowed this photo from the National Trust website because I remember reading that Vita had written a poem about the waiting arms of those chairs that would never hold another person. So even in her day the place was a museum. Looking North - a medieval deer partKnole Park is home of a wild deer herd. They are the descendants of those first introduced here over 500 years ago. Thomas Bourchier, Archbishiop of Canterbury, bought the Knole estate in 1456. He enclosed the land and created the deer park, which has been a feature of Knole ever since. It is Kent's last remaining medieval deer park. "And as for Knole [it] standeth on a sound perfect, wholesome ground. And if I should make mine abode here, as I do surely mind to do now and then, I myself will lie at Knole' Henry VIII quoted in 1532. Archbishop Thomas Crammer (! should be Cranmer) surrendered Knole to Henry VIII. The king purchased more land and by 1556 Knole Park covered 446 acres. Did you Know? Two types of deer live here: Fallow deer (smooth, spotted coats, darker coats in winter) [and] Sika deer (thick, spiky, dark brown coats, chuncky bodies). I remember a few other items. One was a black pitcher, like for water or ale or something, made out of leather. Another was an old bed (you know, the kind with curtains) still in pieces, being cleaned by a young man. He was using just water and just rubbing the black pieces of wood; I think he said it was walnut, but I'm not sure. He told us that the attics were so vast they still hadn't been fully explored and all the findings catalogued, even though the National Trust acquired the place in 1946 (70 years ago!). That made me positively itch to grab a flashlight - sorry, 'torch' - and go exploring! 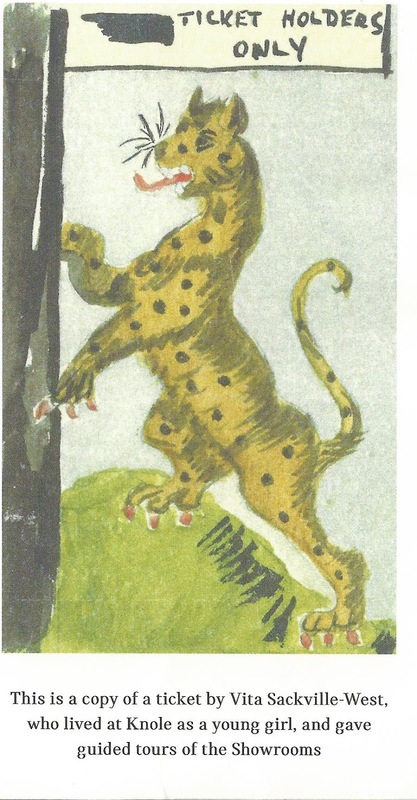 Those things are leopards, added by Thomas Sackville West. In another room there was a bed covered and curtained with some sort of green fabric, I think - holey green fabric if I recall correctly. The guide there explained that some inexperienced restorers from some workers' cooperative had used modern glue to stick the fabric back onto the wood, rather than the old fashioned fish glue. This modern glue had eaten the fabric and they were painstakingly trying to restore the old cloth. I had two thoughts at the time. One was how quickly they were ready to name and blame outsiders; the other was the enormous expense of restoring such a large amount of fabric. I would just frame a square or two and put up modern fabric, a copy of the original. Probably best that I don't work in restoration, eh? Knole House is called a Calendar House, that is a house that has architectural features in quantities that mirror the numbers in a year. 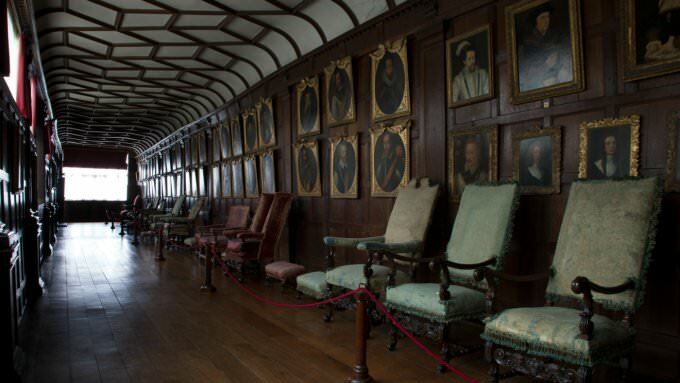 Knole reportedly has 365 rooms, 52 stair cases, 12 entrances and 7 courtyards (give or take). Makes me wonder if we could call this a calendar house with 365 boxes of junk in the loft, 52 wine glasses, 12 doors and 7 potted plants...perhaps not; this is a dangerous concept, when I couldn't sleep last night I found myself thinking about what I could count. One more thing that has come back to me is one of the guides telling me about a Knole couch. If you ever watched/drooled over Downton Abbey you know exactly what one looks like (the big red one to the left of the fireplace in the library). I see them occasionally in windows around Tynemouth and there is one, oddly enough, at The Centurian pub next to the Central Station in Newcastle. Looking West - a visiting tradition"From Sevenoaks we went to Knowle. The park is sweet, with much old beech, and an immense sycamore before the great gate." Horace Walpole, writing in 1752.As a visitor to Knole Park you are part of an old tradition. Visitors from the locla area and further afield have enjoyed access to Knole Park since the 17th century. A dispute over public right of way led to Mortimer, 1st Lord Sackville, closing the park in June 1884. Local people were furious and on the night of 18th June 1884, over a thousand people stormed the park. They broke down barricades before marching to the front of the house, below where you are standing. The town's people smashed windows and hurled abuse. You'll notice there are obvious similarities with Sissinghurst, the long structure with an archway in the centre and a tower where photos are allowed. The squares formed by the walls reminded me of the fantastic garden walls at Sissinghurst. On the whole, I found Sissinghurst much more lovable, more livable. Not just because of its more moderate size (well, it's all relative) but things like the vast collection of books (on 6" deep shelves) and the lavish garden made it seem more like a home than a museum. The only other story I remember was about Edward, Vita's cousin who inherited from her uncle. Edward apparently was also a writer, though not as successful as Vita. He lived in the Tower, I suspect because it was cheaper to heat. The tower had some interesting architecture of course, but the facilities were a bit primitive, particularly the hot water system. Edward entertained guests but was known to warn them that there was only enough hot water for one bath -- after he'd had his bath. Looking South - a fashionable additionThe long building on the south side of Green Court probably dates from around 1603-1608. It was transformed into an Orangery in 1823. Orangeries were fashionable spaces used to house expensive citrus trees and other exotic plants. It was used for entertaining guests with games such as cards. It is south facing to take advantage of the sunlight, but was also heated by a steam engine so that guests wouldn't catch a chill in the evenings. Vita didn't care for Edward and I remember reading something to the effect that she didn't mind ... can't recall what word she used for homosexual ... but he was just too ... something like 'limp-wristed'. 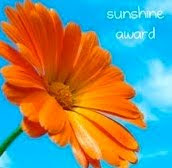 In fact, writing this I found a quote that she called him as 'floppy as an un-staked delphinium in the wind'. I found that pretty funny considering her sexual inclinations. I think that she really didn't like him because he had Knole. The only other thing I remember about Edward was that he ran away from Knole and set up house with his lover in Ireland. He offered up Knole to the next in line, but kept his title. I did wonder about the dark coloured deer; should have read the signs on the roof instead of just snapping them. But now I know. Now I'm not clear about whether or not Edward owned Knole, or just the right to live there. I'm thinking that his father Charles, who inherited instead of Vita, must have handed over Knole to the National Trust, as Charles was living in 1946 when it went to them. Still, the family seem to have some entitlement besides living there, and I suppose it depends upon one's inclinations and interest. Descendants of Vita and Harold still live at Sissinghurst, I believe, and have written probably dozens of books about the place and the people. I see that Lionel Sackville-West (Vita's father) wrote a visitors' guide to Knole House, published in 1906. I stumbled upon a couple of books that may go on my Christmas wishlist, both by Robert Sackville-West, 7th Baron Sackville. One is called The Inheritance, the other The Disinherited. Writing seems to be in the Sackville blood, doesn't it? Or maybe it's just living in towers. I just know I would be a more elegant and prolific writer if my writing room was in a tower. I must admit that even though I didn't enjoy Knole as well as other National Trust Properties, I'm not at all sorry we went. And for once, it looks like I've managed to write more than I photographed. One thought that rattled around while walking through Knole was that in spite of being a very large house associated with powerful historical figures, today it seems more famous for who did not inherit it than the ones who did: Sissinghurst is far more famous than Knole. It strikes me that perhaps this is proof of that adage that 'the best revenge is to live well'. 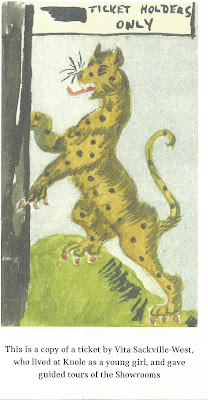 I shall leave you with a copy of the entrance ticket, a piece of art by Vita as a child, depicting a leopard. Leopards are a symbol of the Sackville-West family, decorating their home and their coat of arms. I've stacked up a pile of internet links, which I'll list below, in case you are interested. I would have scattered them in the text, but don't have time to argue with Blogger about formatting. I'm sure my computer will be greatly relieved to have them closed at last. Labels: History, Motorhome Life, National Trust, Travel - U.K. I agree that Sissinghurst looks more livable. Love the park & the deer. Thanks for the links - I'll be following those for a while!